For me, part of the fun of the holiday is cooking and baking, but I know many with busy families would rather have a nice Thanksgiving meal prepared for them. One option is going to a restaurant that serves on Thanksgiving, but many prefer to have the meal in the comfort of their own home. Keep in mind that for most of these locations, you need you to order at least 2 weeks before Thanksgiving, sometimes more. Most prepared meals require some cooking/reheating. Call for details on preparation. Most start taking orders the first of November. Be sure to check my comprehensive Holidays in Little Rock page for events, more food and tips on surviving the holidays. Petit Jean meats can be found in grocery stores all over town, but you can order direct from the company too. They offer a complete turkey dinner for around $75. 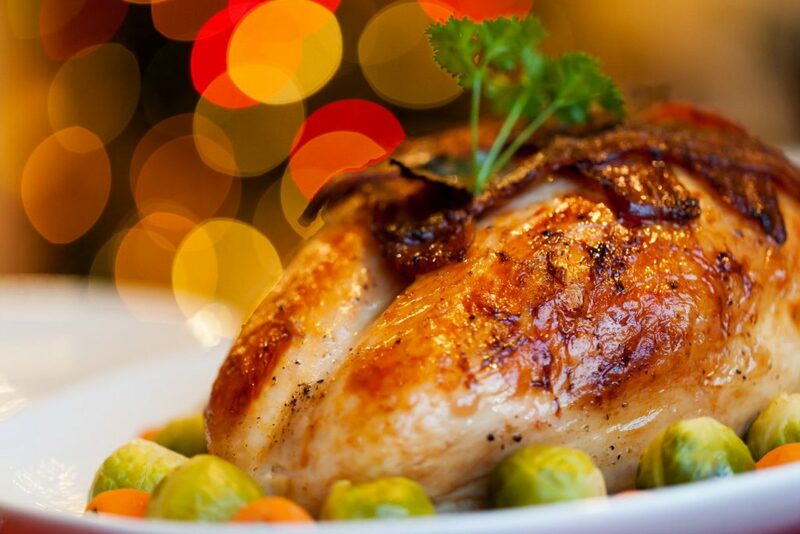 You can order a precooked turkey for just $65. These take about an hour to heat up and come straight from Morrilton. The product is not shipped frozen but can be frozen. Check their website for details. More. I've eaten some of Kroger's complete Thanksgiving meal. It's actually not bad. It's also pretty cheap. A complete dinner is around $60. You can't even make Thanksgiving dinner yourself for that. The meals are completed cooked and only require reheating (no thawing). All of the locations in Little Rock offer a meal, but you have to order in advance. Cracker Barrel stores are open on Thanksgiving day for eat-in, but you can also order a to-go feast starting at $67.99 (you can individual sides too for less). All you have to do is heat and serve. More. The Capital Hotel's restaurant, One Eleven, has dine-in options, but also a to-go meal for 12-15 people. Located at 111 W Markham St, 501-374-7474. More. Franke's is open this year for Thanksgiving and offering smoked or fried turkeys, hams, bread, sides and pies for take-home. Located at 11121 N Rodney Parham, 501-225-4487. Whole foods has a variety of prepared casseroles and vegetable sides. For Thanksgiving, they normally have turkey too. They are located at 501 Bowman Rd in Little Rock, 501-312-2326. Don't even want to heat it up? Save yourself the clean-up by going to a restaurant. Check my list of restaurants serving on Thanksgiving Day.